The Delaware State Fire Prevention Commission now manages all EMT certifications for the State of Delaware. That information can be found on their EMT Certification Page. For questions concerning your Delaware Certification, contact the office at 302-739-3160 or by Email at fire.commission@delaware.gov. Need other CEUs? Try these sites for continuing education online. Note: Some may be free, pay as you go, or have subscriptions. Most websites will require accounts to be set up. At times, some courses may be under redevelopment or review while they renew their CEU status. PURPOSE: The National Registry Emergency Medical Technician (NREMT) course meets the National EMS Education Standards published guidelines. The curriculum provides the student with in-depth knowledge and skill-based training to appropriately assess, stabilize, monitor, and transport pre-hospital patients. Students are required to spend time in the clinical setting with actual time based upon student progress. Students successfully completing this course may sit for the National Registry exam. Upon presentation of required paperwork, State of Delaware EMT certification may be issued to individuals successfully completing NREMT requirements and individuals must be affiliated with a Delaware EMS provider. CONTENT: This course provides the student with in-depth knowledge and skill-based training to appropriately assess, stabilize, monitor and transport the pre-hospital patient. Students will be required to have internet access to complete online homework and quizzes throughout the course. Successful completion of this course will include passing a state approved practical and written exam (Note: the State of Delaware uses the National Registry examination process for both practical and cognitive examination as the state approved exam). AUDIENCE: This course is intended for those individuals who respond to pre-hospital situations and must manage, treat, and transport the patient to an appropriate medical facility. .
PREREQUISITES: Must be at least 18 years old at registration and have current certification in Healthcare Provider CPR/AED or equivalent and produce a legible copy at registration. MANDATORY BACKGROUND CHECK: All personnel taking the EMT full course will be required to have a State of Delaware and Federal Background check. This must be completed before patient contact begins. CLASS LIMITS: Minimum 10; Maximum 25 for the full class, 20 for the accelerated class. Completed registration forms will be accepted until class limit is satisfied or deadline date is reached. You will be notified by email of your acceptance into the class. This course is available as a full class at our Divisions and an accelerated class at our Dover Division. This course is not available as an In-Service training. Student grades and attendance records will be submitted to the sponsoring agencies Chief Officer monthly. The following are current policies and information for the EMT course. The Program Manager or designee, on or before the first block of instruction, will review this information with the students. The student shall initial each section and sign and date the form. A copy will be made of the form and returned to the student. Any class cancelled due to inclement weather will be the decision of the Delaware State Fire School Director. A class cancelled at one center does not mean classes are cancelled at all centers. 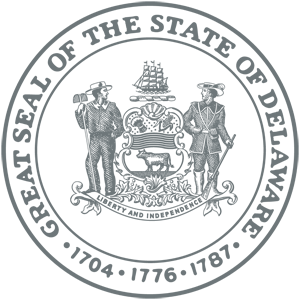 (i.e., classes cancelled at the Sussex Center does not mean classes at the Dover location are cancelled.) Information regarding cancellation will be posted on the DSFS Facebook Page, announced by Call Board on the fire radio, and a message will be recorded on the telephone system at 302-739-4773. No student shall use a cell phone or camera while on any EMS call, furthermore the use of cell phones, I pods, pagers or any electronic devices will not be tolerated in the classroom. Students attending the EMT course are required to receive the Hepatitis B (HBV) Immunization series and be tested for Tuberculosis (TB) prior to attending field patient contacts. It is the responsibility of the student to ensure they receive all immunizations and test. It is also highly recommended that students receive immunizations for Measles, Mumps, and Rubella (MMR), Flu, and Tetanus. If the student does not receive the recommended tests and immunizations, they place themselves at risk for a communicable disease. By not receiving the tests and immunizations, a student cannot hold the Delaware State Fire School or the Patient Contact Sponsoring Company liable for any illness received as a direct result of not being tested or immunized. Homework Assignments are worth 5 percent of the total grade. Quizzes are worth a maximum of 15 percent. Exams are worth a maximum of 20 percent each. The BLS Provider CPR AED exam (if required), Protocol exam, and Field Patients Contacts are a Pass/Fail grade. You must successfully complete these to sit for the Final Exam. Written Exams 1-4 will have a time limit of 1-hour 30 minutes for completion. Final Exam will have a time limit of 2 hours for completion. Students are required to have a 70% grade point average or higher, to sit for the Final exam. The Students must successfully complete the Final Exam with a minimum score of 70% to test for practical skills. The successful completion of both is mandatory to test for National Registry. Initial test for NREMT must be taken within 90 days after completion of the course. All students must have a current AHA BLS Provider CPR AED certification or an equivalent recognized by the Delaware State Fire School prior to the start of the course. This requirement must stay current through the duration of the course and be presented when requested for DE EMT certification. 1.) CHEATING: An act of deception by which a student misrepresents that he/she has mastered information on an academic exercise that he/she has not mastered such as: copying from another person’s exam, using unauthorized materials during an exam, or collaborating during a test with any other person. 2.) ACADEMIC MISCONDUCT: The intentional violation of Delaware State Fire School policies by tampering with grades, taking part in obtaining or distributing any part of an un-administered exam, taking a test for someone else or permitting someone else to take a test for you. 3.) PLAGIARISM: Inclusion of someone else’s work, ideas or data as one’s own work. 1). A Delaware State Fire School Training Administrator and course lead instructor will meet with the student regarding the alleged academic dishonesty. 2). Upon meeting with the student, the Training Administrator will document in writing the infraction and submit it to the Director of the Delaware State Fire School for appropriation disciplinary action. Attendance for all blocks of instruction is preferred and highly recommended. Students missing blocks will not be allowed to make up course work from the missed day (i.e. exams/quizzes/homework assignments). Any course work will be entered as a “0” and calculated into the student’s final grade. Students attending the accelerated program are required to attend all blocks of instruction. CONFIDENTIALITY: The EMT student acknowledges that in the course of performing services under this agreement, the student may come into contact with a patient or other confidential information. Students agree that such information shall not be used in any way by the student or disclosed to anyone. The student agrees that this paragraph applies to all employees, agents and/or subcontractors. Cannot see or use Protected Health Information unless it is required for the “job”. Can only see or use the minimum amount of Protected Health Information that is necessary for a task. Personnel who see or use Protected Health Information in violation of HIPAA have violated federal law. $50,000 fine + up to one year in prison for improperly obtaining or disclosing health information. $100,000 fine + up to five years in prison for obtaining or disclosing health information under false pretenses. $250,000 fine + up to ten years in prison for obtaining health information with the intent to sell, transfer or use for commercial advantage, personal gain or harm. When Can EMS Personnel Use Protected Health Information? When the individual has signed a valid authorization form. As specifically permitted or required by law. Violation of Confidentiality while attending the EMT course may result in immediate dismissal. This includes any breech of confidential information, field patient contacts, or other associated course requirements. Students dismissed from the EMT course will be required to reimburse the Delaware State Fire School for all materials. The Delaware State Fire School Director and Training Administrator will review any violations before the student is officially dismissed from class. PURPOSE: The Delaware Emergency Medical Technician Refresher course meets the National EMS Education Standards published guidelines under the National Registry of Emergency Medical Technicians (NREMT) National Core Competency Program (NCCP). The curriculum provides the student with a review and update of in-depth knowledge and skill-based training to appropriately assess, stabilize, monitor, and transport pre-hospital patients. 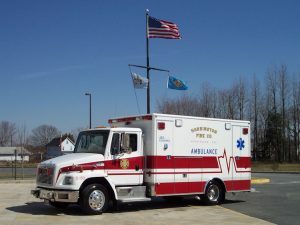 Individuals must be affiliated with a Delaware EMS provider. CONTENT: This course provides the student with a review and update in-depth knowledge and skill-based training to appropriately assess, stabilize, monitor, and transport the pre-hospital patient. This course contains 14 hours of online content to be completed before attending 16 hours in the classroom. Successful completion of this course will include passing a state approved practical and written exam. 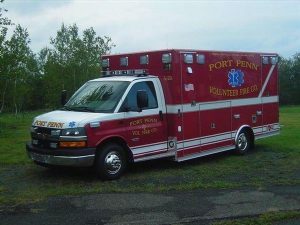 AUDIENCE: This course is intended refresh and update those individuals who respond to pre-hospital situations as a certified EMT and must manage, treat, and transport the patient to an appropriate medical facility. .
PREREQUISITES: Must have current certification as a Delaware Emergency Medical Technician and produce a legible copy at registration. CLASS LIMITS: Online Content: No Limit; Classroom Sessions: Minimum 10; Maximum 25. Completed registration forms will be accepted until class limit is satisfied or deadline date is reached. You will be notified by email of your acceptance into the class. This course is not available as an In-Service training. 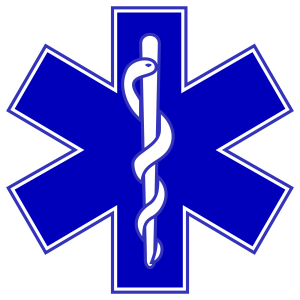 PURPOSE: The Emergency Medical Technician Refresher for the NREMT – State Content course meets the National EMS Education Standards published guidelines for the Local Content of the National Registry of Emergency Medical Technicians (NREMT) National Core Competency Program (NCCP). The curriculum provides the student with a review and update of in-depth knowledge and skill-based training of the Delaware required content to appropriately assess, stabilize, monitor, and transport pre-hospital patients. Individuals must be affiliated with a Delaware EMS provider. CONTENT: This course provides the student with a review and update in-depth knowledge and skill-based training surrounding the Delaware Local Content of the NCCP to appropriately assess, stabilize, monitor, and transport the pre-hospital patient. This course contains 7 hours of online content to be completed before attending 3 hours in the classroom. Successful completion of this course will include passing a state approved practical and written exam. AUDIENCE: This course is intended for those NREMTs certified and attending a refresher in another NREMT State, to refresh and update those individuals who respond to pre-hospital situations as a certified EMT and must manage, treat, and transport the patient to an appropriate medical facility. PREREQUISITES: Must have current certification as a NREMT Emergency Medical Technician, a Delaware Emergency Medical Technician, and in BLS Provider CPR/AED or equivalent and produce a legible copy at registration. A certificate of completion for the NCCP EMT Refresher for their affiliated State/Region must be produced at registration. CLASS LIMITS: Online Content: No Limit; Classroom Sessions: Minimum 6; Maximum 25. Completed registration forms will be accepted until class limit is satisfied or deadline date is reached. You will be notified by email of your acceptance into the class. PURPOSE: The Delaware Level Up to NREMT course meets the National EMS Education Standards published guidelines under the National Registry of Emergency medical Technicians (NREMT) National Core Competency Program (NCCP). The curriculum provides the student with a review and update of in-depth knowledge and skill-based training to appropriately assess, stabilize, monitor, and transport pre-hospital patients. Students successfully completing this course may attend the Delaware State Fire School NREMT Psychomotor examinations, and upon successful completion they may then sit for the National Registry cognitive exam. Individuals must be affiliated with a Delaware EMS provider. CONTENT: This course provides the student with a review and update in-depth knowledge and skill-based training to appropriately assess, stabilize, monitor, and transport the pre-hospital patient. This course contains 14 hours of online content to be completed before attending 16 hours in the classroom. Successful completion of this course will include passing a state approved practical and written exam, as well as passing the Office of Emergency Medical Services BLS Protocols examination. Upon successful completion, students will then be eligible to begin the process for the NREMT psychomotor and cognitive examinations. AUDIENCE: This course is intended refresh and update those individuals who respond to pre-hospital situations as a certified EMT and must manage, treat, and transport the patient to an appropriate medical facility, who wish to attain their National Registry of EMT (NREMT) certification. PREREQUISITES: Must have current certification as Delaware Emergency Medical Technician, and in BLS Provider CPR/AED or equivalent and produce a legible copy at registration. This course is not available as an In-Service training. Call to Schedule. PURPOSE: The Delaware Emergency Medical Technician Reciprocity course allows individuals from other States/Regions who are certified as a National Registry of Emergency Medical Technicians (NREMT) EMT, to gain their Delaware Emergency Medical technician certification. The curriculum provides the student with a review and update of in-depth knowledge and skill-based training of the Delaware required content to appropriately assess, stabilize, monitor, and transport pre-hospital patients. Individuals must be affiliated with a Delaware EMS provider. CONTENT: This course provides the student with a review and update in-depth knowledge and skill-based training surrounding the Delaware EMS policies and procedures to appropriately assess, stabilize, monitor, and transport the pre-hospital patient according to Delaware guidelines. This course contains 6 hours of online content to be completed before attending 6 hours in the classroom. Successful completion of this course will include passing a state approved practical review and written exam, as well as passing the Office of Emergency Medical Services BLS Protocols examination. AUDIENCE: This course is intended for those individuals who are NREMTs certified in another NREMT State/Region, to refresh and update those individuals who respond to pre-hospital situations as a certified EMT and must manage, treat, and transport the patient to an appropriate medical facility. PREREQUISITES: Must have current certification as a NREMT Emergency Medical Technician, current certification as an Emergency Medical Technician in another State, and in BLS Provider CPR/AED or equivalent and produce a legible copy at registration. NOTE: Other documentation MUST be submitted separately to the Office of the State Fire Prevention Commission in addition to this course for actual certification and is available from their office or through their website (http://www.statefirecommission.delaware.gov/) on their EMT Certification page. PURPOSE: To allow students who require psychomotor practical skills testing in order to sit for their NREMT cognitive testing. CONTENT: This session contains testing stations to allow the student to perform and be evaluated for the psychomotor skills required for their NREMT certification before cognitive testing. AUDIENCE: Students who require psychomotor skills evaluation to sit for the NREMT cognitive testing after successful completion of an EMT course and students who are unable to successfully complete the cognitive testing within one (1) year of the successful completion of an EMT class. PREREQUISITES: Must have completed an approved NREMT course and have a Delaware affiliation. This is not available as an In-Service training. Call to Schedule. PURPOSE: To allow any individual currently certified as an Emergency Medical Technician Paramedic in the State of Delaware to practice as an EMT on a BLS unit in the State under Fire Prevention Commission Regulations. CONTENT: This session contains the Delaware OEMS BLS Protocols. Paramedics must successfully complete the current Delaware OEMS BLS Protocols for initial EMT Certification, but will not be required to perform an EMT Refresher course in addition to the Paramedic Refresher course for recertification. The Paramedic will be required to complete any minimum training required for EMTs in order to hold BLS certification in the State. AUDIENCE: This course is intended for Paramedics affiliated with New Castle County EMS, Kent County EMS, Sussex County EMS, and Delaware State Police wishing to practice on a BLS unit. Paramedics that are no longer employed by one of the listed agencies, may apply. If more than six (6) months since last day of employment, the applicant must follow the Reciprocity policy with their current NREMT Paramedic certification. CERTIFICATION: Upon successful completion of requirements the applicant may be certified as an Emergency Medical Technician for a two (2) year period, and coincide with their NREMT recertification cycle. PREREQUISITES: Must hold a current Nationally Registry of EMTs as a Paramedic certification and have a Delaware affiliation. Paramedics shall submit a copy of their Delaware Paramedic License, National Registry Card, current AHA BLS Provider CPR/AED card or equivalent (as approved by the Delaware State Fire Prevention Commission), and an EMT Application submitted to the State Fire Prevention Commission, signed by a sponsoring EMS provider recognized to operate in Delaware by the SFPC. PURPOSE: The Delaware State Fire School has decided to utilize the online Jones and Bartlett FTO Interactive Course for all initial training of FTO’s. “Field Training Officer Interactive is a cutting-edge online course that provides comprehensive and concrete guidance on how to effectively perform the job of a field training officer (FTO). Extensively field-tested, the approach in college, hospital, fire department, and third service programs. Experienced FTOs will find a variety of tips and techniques to supplement teaching methods they are already using. New FTOs can use these same tips and techniques to develop an effective approach to teaching and evaluating students, and will help them “hit the ground running” as they assume their new duties.” –Jones & Bartlett. CONTENT: The Delaware State Fire School recognizes the Jones and Bartlett Course: Field Training Officer Interactive (www.PSGlearning.com) as formal training. The course and textbook are available through the jones and Bartlett website. AUDIENCE: This course is intended for any individual currently certified as an Emergency Medical Technician and in a position to evaluate other Emergency Medical Technicians. CERTIFICATION: Personnel successfully completing the Jones and Bartlett Course: Field Training Officer Interactive and have received a Delaware Field Training Officer certification, may be certified as a Delaware Field Training Officer for a two (2) year period. Please submit the certificate of completion signed by holder to the EMS Program Manager for review and processing. The Delaware Field Training Officer Refresher Course is made available annually by the Delaware State Fire School and is required to be completed every two (2) years for recertification.